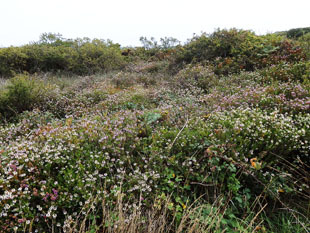 It covers large areas of heathland on the Lizard. 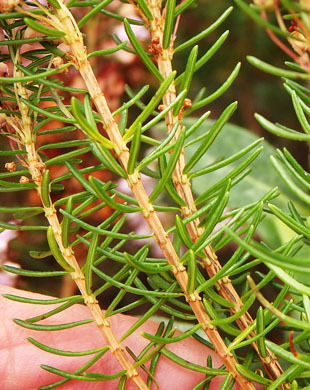 with leaves and up to 16cm. 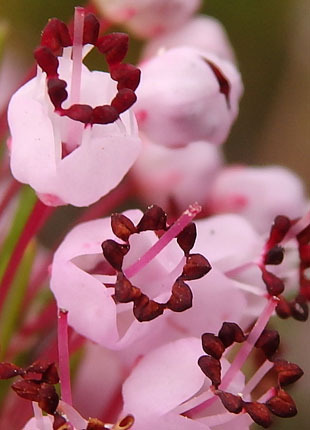 which protrude from the flower. 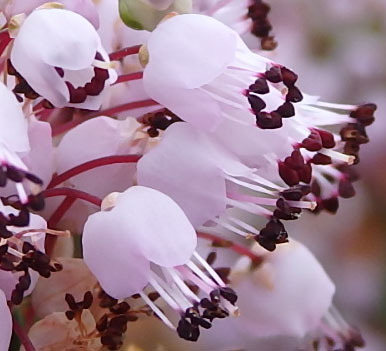 The stigma is pink or white and also protrudes. 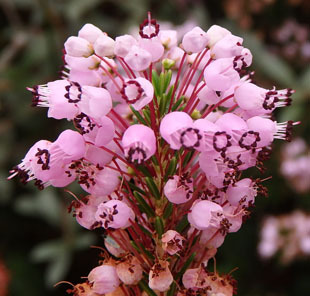 The pedicels (flower stalks) are pink and longer than the flowers. 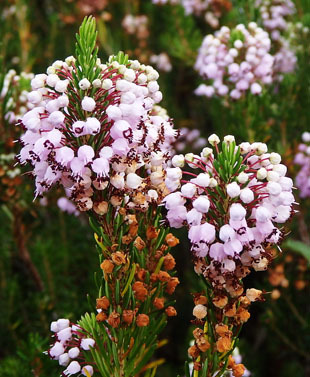 It is a diffuse shrub with many upright stems and erect branches.